With the iPhone 5 announcement, Apple had also said that they will be releasing a brand new redesigned version of iTunes (iTunes 11) in October. However, it never came out back then and the release got pushed back to late November. Now, with only a few days left in November, Apple has released it. iTunes 11 is the biggest departure in terms of UI from the original iTunes. By default, the sidebar on the left, which has been there as far as I can remember, is hidden (it can be displayed again from the View menu). Album art takes center stage and clicking an album smoothly opens it in the same view, with all the other album covers in view. The colors used for the text in tracks comes from the album cover. A lot of other UI elements have changed as well. Connected devices show in the top-left. Clicking it takes you to another view, that can be closed by hitting Done in the same corner. 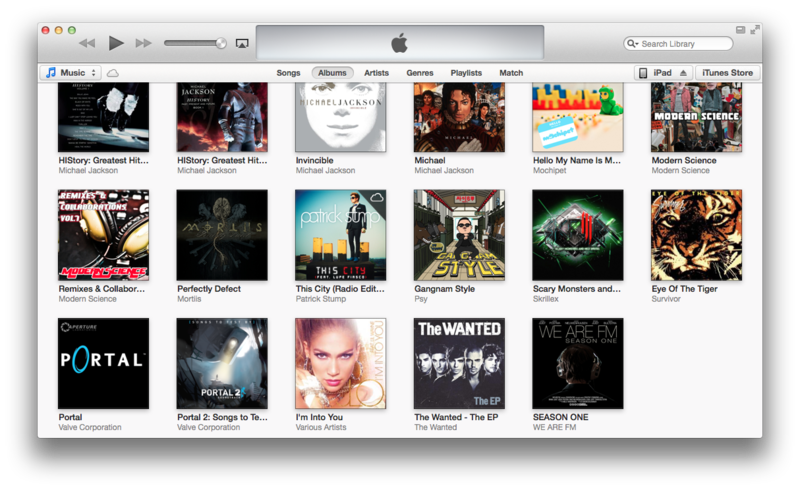 iTunes 11 comes with a fresh departure from the traditional left-side pane navigation. Other new features include better iCloud integration. Apple touts how movie playback position is synced across devices now. The iTunes store has a new design that is similar to the one on iOS devices. The Up Next feature allows you to change what song plays next. There is also a new mini-player that is smaller than before and gives you more control without having to return to the regular view. 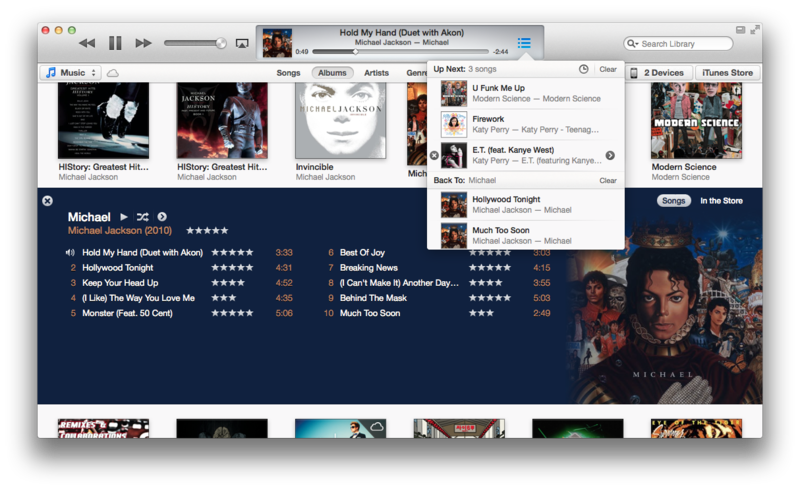 iTunes 11 also comes with 3 new music visualizers, Stix, Lathe and Jelly. Visualizers have been added to the program after a very long time. You can go to View, Visualizer to see them. Stix is pretty cool. Apple's website has all the details about this update. There is also this video that walks you through the major changes.